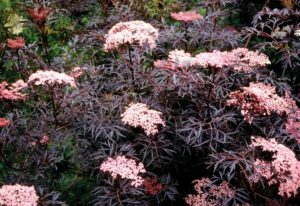 Three Sambucus (elder or elderberry) stand out at the top of the group: Black Lace Elderberry, Black Tower Elderberry, and Lemon Lace Elderberry. 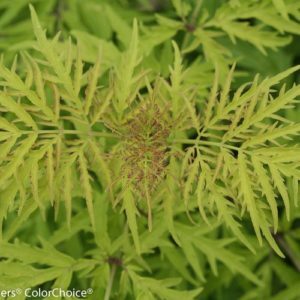 As with all elderberry, these three require sun to part sun for best flowering and foliage color. And, while elderberries can tolerate many living conditions, they seem to do best in a slightly acidic soil that has been highly amended with organic matter and stays evenly moist but not wet. This stunner creates a spectacular specimen with its dark foliage and pale pink flowers in the spring. 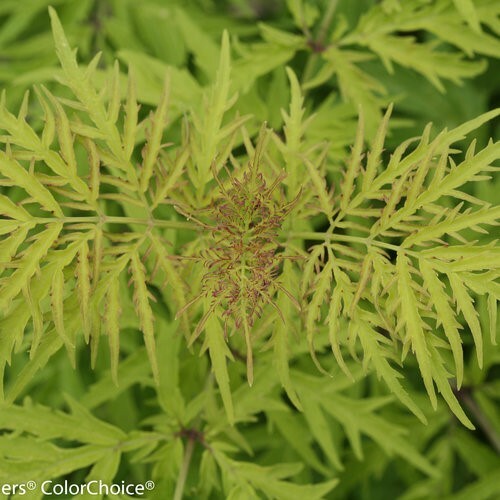 The delicate lacy foliage and extreme durability make it the perfect substitution for Laceleaf Japanese Maples. Black fruit can be harvested in the fall for making jams, jellies, syrups and wine. While Black Lace can reach 6-8’ tall and wide, it takes well to being pruned and can be cut to the ground yearly if necessary though this may limit bloom and berry production. Pruning hard as a young plant is recommended for the plant to develop a full, dense growth habit. Black Tower is the perfect variety in small spaces or when you need a vertical accent in your garden. 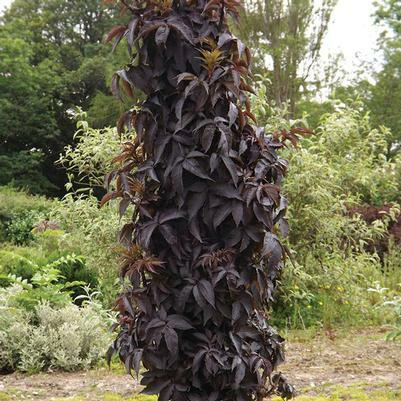 The leaves emerge a ‘celery green’ in the spring but mature to a purple-black foliage. It displays large, pale pink flowers in the spring that become black fruit in the fall. This columnar variety reaches 6-8’ tall and 3-4’ wide. As with the other varieties of elderberry, Black Tower can be pruned as necessary to control size or pruned to the ground yearly. Pruning to shape should be done after flowering but may limit fruiting. Pruning to control size should be done in the late winter. 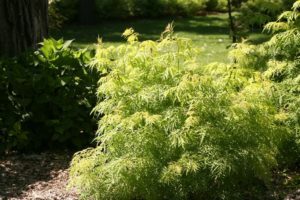 This petite elderberry may have gorgeous white blooms but is typically grown for the lemon-colored foliage and bright red berries. Lemon Lace only reaches 3-5’ tall and with its deeply cut-leaf and colorful foliage, works perfectly in a perennial border or as a specimen. Prune Lemon Lace while the plant is young to create a nice full habit. 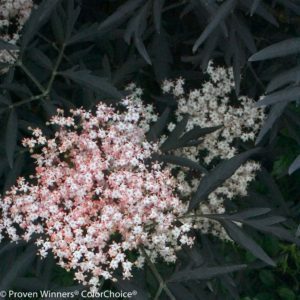 This elderberry blooms on old wood, so prune immediately after flower if necessary to control size. Jelly, Jam, and Elder Wine – Oh My!! But, there are a few things you MUST know about elderberries – like are they safe to eat. Obviously, some of them are – hence the excitement over elderberry jam, but you need to know which are and which aren’t. 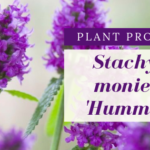 Because there are numerous varieties on the market today, we’re going to talk some botanical names to help clear this up. Eat Away: Sambucus nigra (European Elderberry) and Sambucus Canadensis (American Elderberry) are two of the most common elderberry on the market. Black Lace and Black Tower are both cultivars of Sambucus nigra. The cultivars of elderberry that are in these two families are edible. The black berries can be used in anything from jams to wine and contain more vitamin C than oranges. In fact, the flowers are often used to create teas and even champagne. Don’t Touch: The red berries of Sambucus racemosa, like those of Lemon Lace, definitely signal a stop. Apparently, the seeds in the red berries are poisonous so to make the berry edible it must be deseeded and cooked. Which you could certainly do, but that just seems like a LOT of work to me. I love making jam but am waaay too lazy for that. 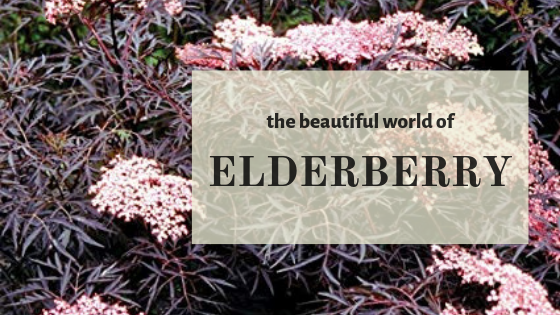 PLEASE NOTE: I am a big fan of all things elderberry and absolutely love the look that these plants offer to a garden or landscape. HOWEVER, I would not recommend planting any elderberry in areas you may have kids, dogs or any other little creatures you adore that love to put things in their mouths when you’re not looking. According to the Humane Society of America, the leaves, bark, roots and buds can be toxic to pets. That being said, elderberry does have a place in our gardens. Their durability and adaptability allow these beauties to blend in any garden style with extreme elegance. 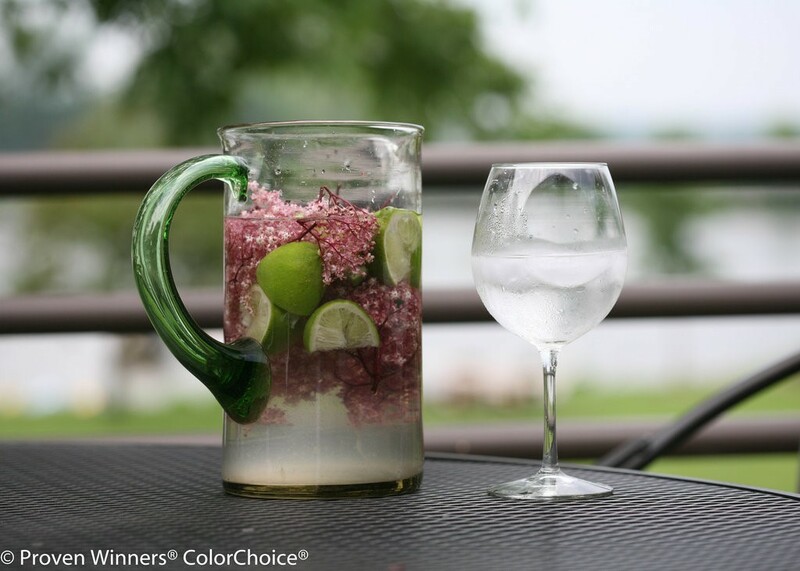 Elderberry shrubs prove that you don’t need a large, showy flower to shine.